← “A pilgrimage to Santiago de Compostela is the finest journey in Spain,” wrote James Michener in his book Iberia. Photo taken when out on a bike ride with son Geoffrey. 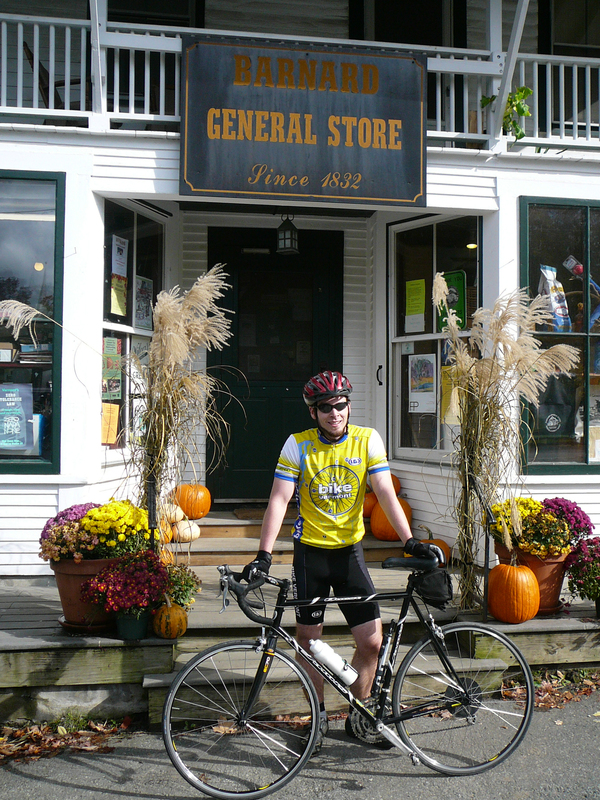 Barnard General Store is one of our favorites! If you have toured with us in the past, you already know how much we celebrate Vermont, its uniqueness, its spectacular views, the quiet rural villages, the warm and intimate feel of the landscape. You also know how much we encourage you to experience Vermont by visiting its special places like the fine old churches, meeting houses, cider mills, farms, covered bridges, and some of our state’s wonderful general stores. General stores exude pure Vermontness. 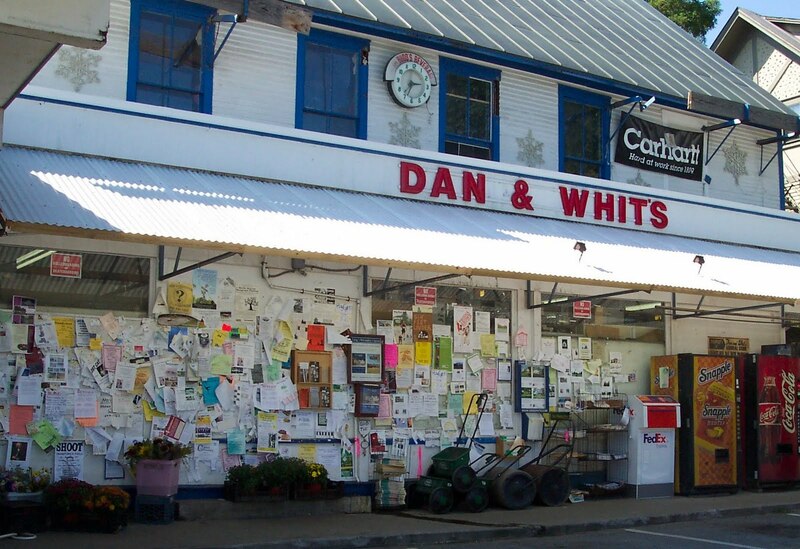 Places like Dan and Whit’s in Norwich, Willey’s in Greensboro, and Buxton’s in Orwell have been selling their wares for over 100 years. They still serve a vital role, often being the only source of food or hardware for miles around, and perhaps more importantly, serving as the social and political hub of surrounding communities. General stores are the heart of a small town. The community announcement board is always full! to cheese, crackers and toilet paper, snow shovels, flue dampers, ammunition, stove gaskets, milk, cereal, canning supplies. Interspersed with this are more upscale shopping needs like walking sticks, elaborate bird houses, and imported wines, beers, soaps, jams, etc…Add to this decaf, espresso, tofu and spinach linguine, and you will quickly realize that the economic health of the Vermont general store is not tied to the sale of rugged necessities. General stores still maintain their Norman Rockwell rural character. Rarely will you catch a game of checkers over a cracker barrel, but you can still linger over a slow sugar donut and some black coffee, get possibly accurate but always entertaining directions to where they think you want to get to, and be graced with the benefit of homespun wisdom sprinkled with a bit of fact and lots of opinion. So on our tours we are sure to encourage your visit to one of these stores as an essential part of your Vermont adventure. Here you can get anything, often are enlightened, and never need to leave empty-handed. What more could you ask for? 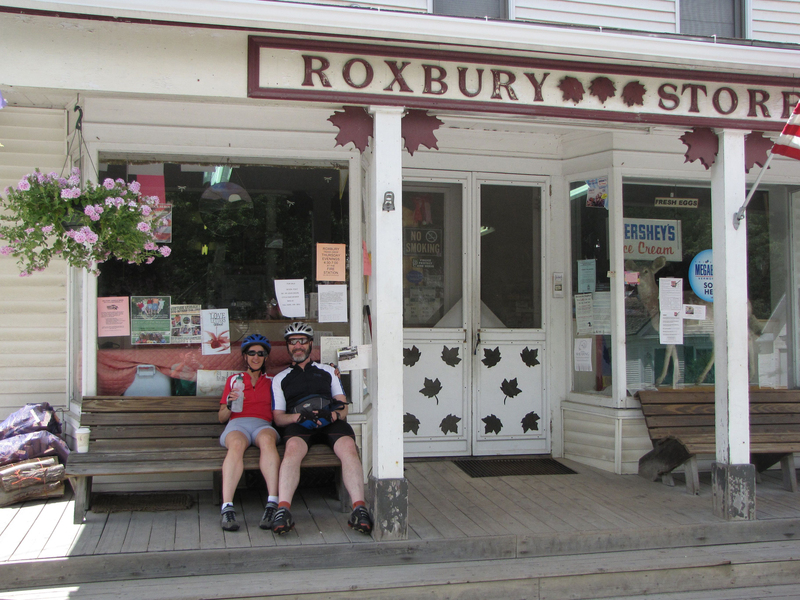 This entry was posted in Vermont Bicycle Tours and tagged adventure, Ben, Ben & Jerry's, bicycle, bicycle tours, bicycling, bike, bike touring, biking, Buxton, cycling, Discovery Bicycle Tours, General store, inn-to-inn bicycle tours, Jerry, Norman Rockwell, Norwich, vermont. Bookmark the permalink.